“The course explores sections of The Grampians not usually open,” says Frank. 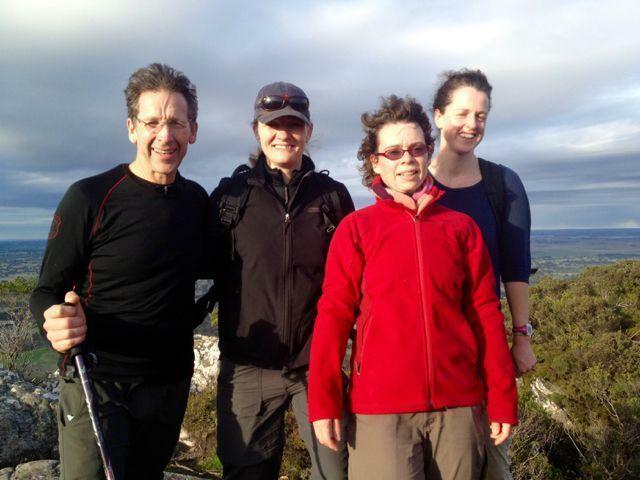 He regularly hikes Mt Sturgeon and Mt Abrupt to enjoy the calm peaceful sense the bush provides. This weekend will test some resolve (and feet). Each team has a support crew to help them reach the finish line. Frank’s yoga classes have been abuzz with Serra Terror talk. Many Griffins Hill Yoga regulars have entered and will be “running, walking and scrambling” their way to the finish. Frank prepared the dedicated yogis with in-class training. He included more standing, leg and knee strengthening poses in his yoga classes like the Utthita Parsvakonasana (standing side angle pose). To increase people’s fitness he incorporated Urdhva Dhanurasana (backbends or the upward bow) and Surya Namaskara (salutes to the sun). You can cheer on the teams this weekend, 5-7 June. Watch the race at checkpoint one at Casedy’s Gap. Or welcome the victors and stragglers home on Sunday afternoon at the Dunkeld Community Centre. Visit the website – www.dunkeldadventure.com.au – or follow them on Facebook.